SUSPECT cash, illegal liquor and drugs worth about Rs 540 crore have been seized across the country since parliamentary election schedule was announced by the Election Commission a fortnight ago, official data showed on Tuesday. Tamil Nadu recorded the maximum seizure of these illegal inducements, suspected to have been routed and used to bribe voters, worth Rs 107.24 crore, followed by Uttar Pradesh Rs 104.53 crore, Andhra Pradesh Rs 103.4 crore and Punjab Rs 92.8 crore. Karnataka saw the total seizure of inducements and cash worth Rs 26.53 crore, Maharashtra Rs 19.11 crore and Telangana Rs 8.2 crore. An Election Commission official said the total value of seized items was Rs 539.99 crore. 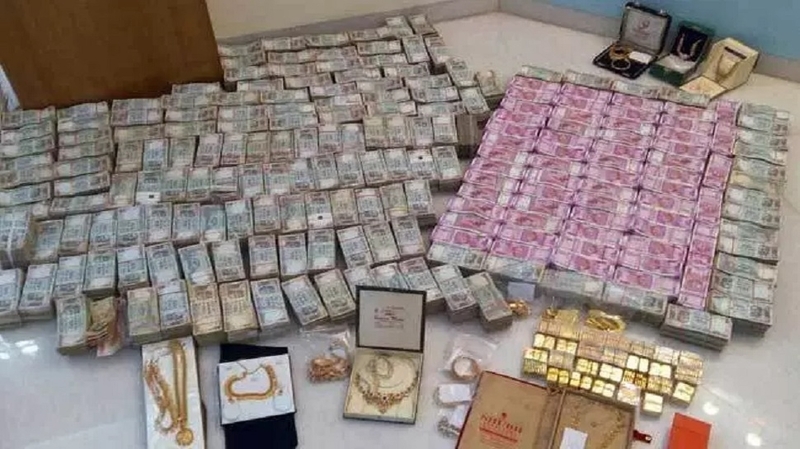 The polls were declared by the Election Commission on March 10 and as per data updated till March 25, a total of Rs 143.37 crore suspect cash, Rs 89.64 crore worth of liquor, drugs valued at Rs 131.75 crore, gold and other precious metals worth Rs 162.93 crore.